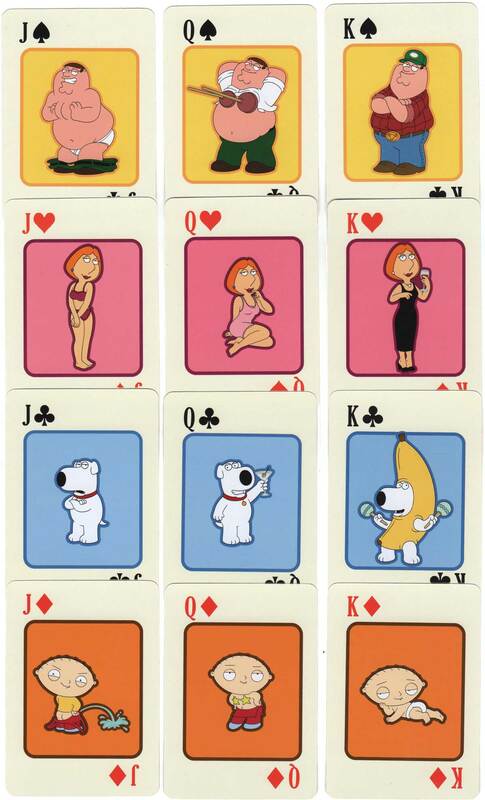 Above: “Family Guy” merchandise deck licensed and copyright by Fox 2010. 52 cards + 2 identical jokers in box. Made in China by an anonymous maker. 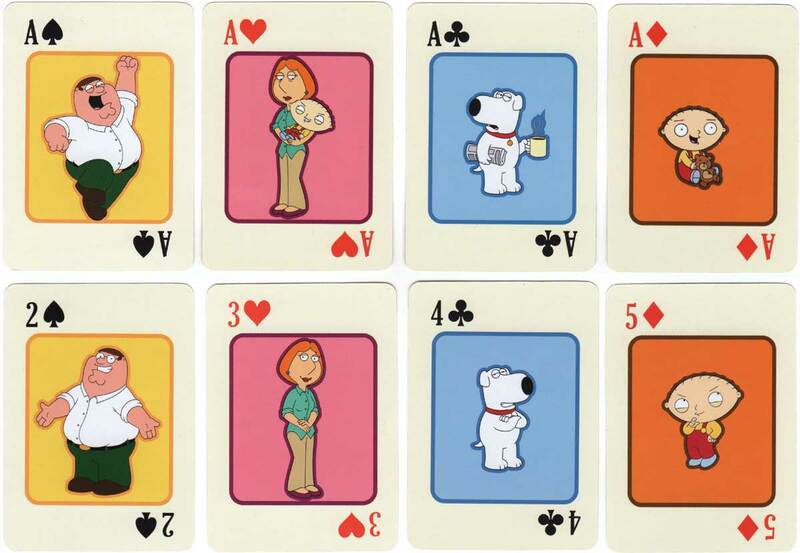 Several variations of “Family Guy” merchandise decks are known, including being sold in a tin and in a packet. Images courtesy Matt Probert. 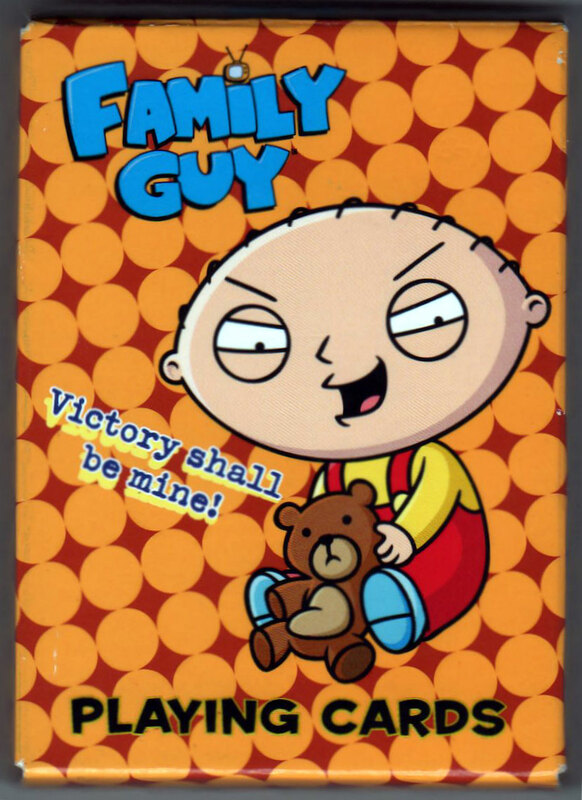 Watch full episodes of “Family Guy” on www.fox.com/family-guy (restricted in some geographic locations).